The T-60 Soviet light tank was produced in large numbers in response to the German 1941 Operation Barbarossa, the invasion of Russia. This restored tank can be found at the Kubinka Tank Museum near Moscow, Russia. Before it even entered service it was obsolete as a front line tank that was to engage enemy tanks like the recently upgraded Panzer III and IV tanks. At all costs it had to avoid contact with these new and improved enemy machines. It would not be a fair fight because its 20mm TNSh main gun could not penetrate their frontal armour. It could only penetrate 15mm of armour at 500m. German armour ranged from 30 mm to 50 mm at that time. 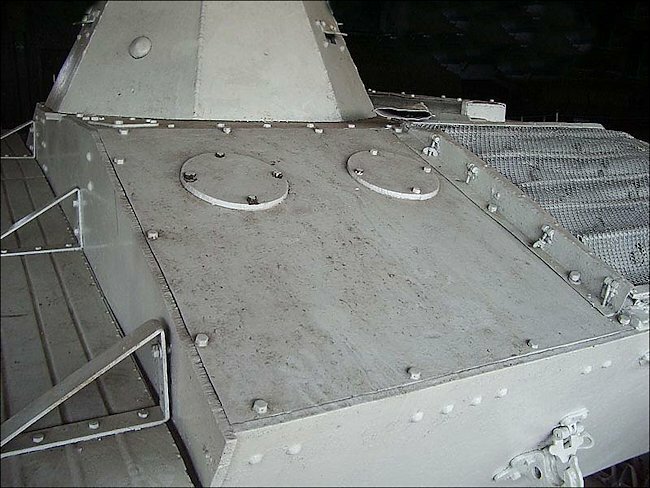 The T-60's armour plating offered no protection from enemy 50mm and 75mm shells. It was just too thin. It only offered protection from small arms fire. When it was used against German infantry and soft skinned vehicles it was effective. As the Germans advanced towards Moscow the crops in the surrounding countryside were at their full height. It helped screen the small low profile T-60 tanks. This enabled some of the tank crews to sneak close undetected and engage German infantry units and cause serious amounts of casualties. 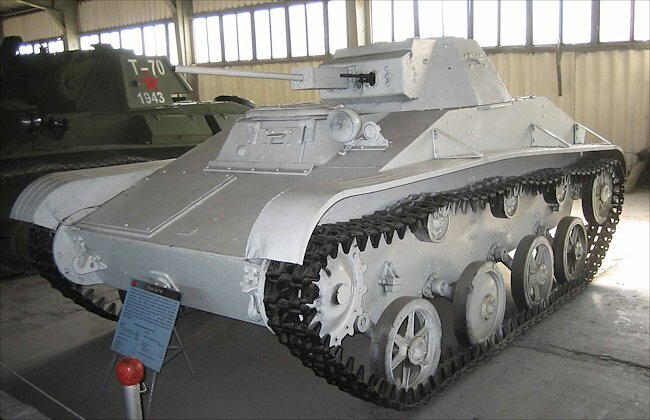 The T-60 tank designer was Nicholas Astrov and they were manufactured between 1941 to 1942 at Factory 37,Moscow, GAZ, Gorkiy and later Factory 38 Kirov. It is believed that 6,292 tanks were produced during that period. 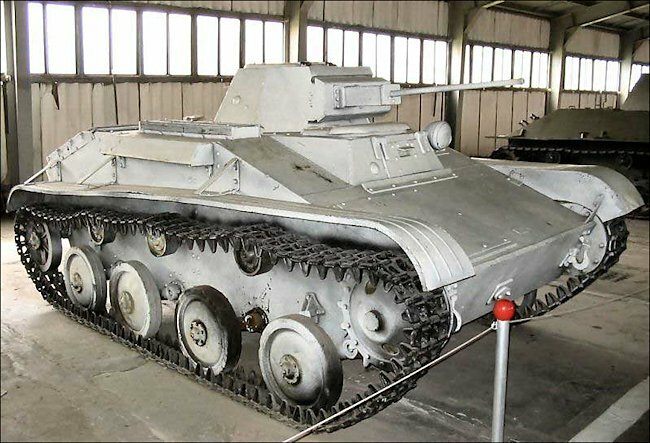 This light tank weighed 5.8 tonnes and was powered by a GAZ - 202 cylinder engine that produced 70 bhp. It had a top road speed of 44 km/h and 22 km/h off road. It was fitted with a 7.62 coaxial DT machine gun in addition to the 20mm main gun. It had a large fuel tank of 320 litres and a good operational range of 450km. This enabled it to remain with infantry units without having to constantly return to be refuelled. It enhanced its abilities as a scout tank. It could go on patrol looking for the enemy knowing that it had enough fuel to return back to Regimental headquarters with its report. It was introduced into the Red Army as a replacement for the T-38 and T-40A amphibious scout tanks T-40S Sukhoputniy 'dry-land' light tank. They were only armed with a 12.7 mm machine gun. The T-60 was the Russian equivalent to the German Panzer II tank. In armoured combat or when they were spotted by anti-tank guns, many were knocked out causing the death or injury of the crew. This earnt the T60 tank the nickname of Bratskaya Mogila na Dovoikh which means 'A grave for two brothers'. In 1942 the frontal armour of the T-60 was increased from 25mm to 35mm but this was still too thin. The engine could not cope very well with the extra weight. It became even more sluggish and less manoeuvrable than it already was before the additional protection was applied to the vehicle. Where can I find surviving T-60 Scout Tanks?